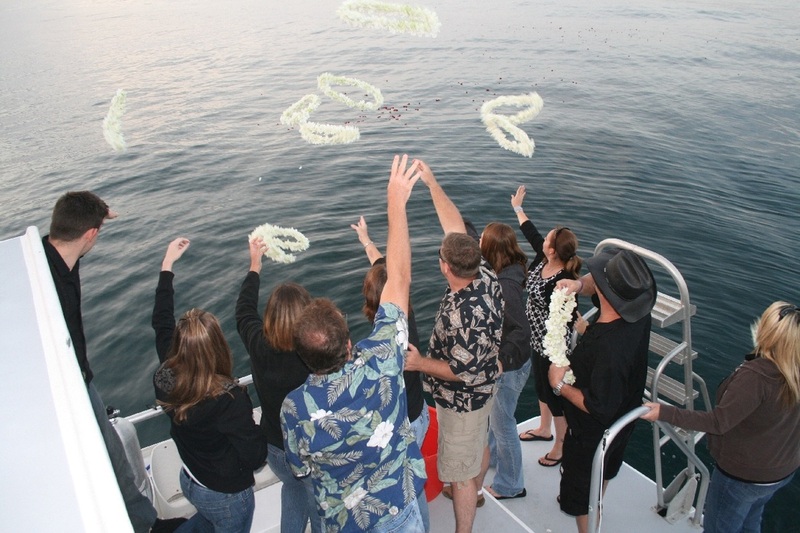 ﻿An attended burial at sea means you can have a group of family and friends accompany your loved one to his or her place of burial or scattering at sea. We will do our best to make the service a perfect reminder of your loved one's life while bringing comfort and closure. ﻿A memorial service on the sea - attended by just the immediate family or as many family and friends as you would like. Our attended services have many options. We have a wide range of vessels to choose from to accommodate different size groups and tastes, sail and power. ​You can also include other options such as memorial wreaths, rose petals, biodegradable urns, photography, bagpiper or other musician, dove release and more. Contact us for more information. We will do our best to make the service a perfect reminder of your loved one's life while bringing comfort and closure.